Home » Acne Skincare Resources » Is Sugar the Enemy of Your Skin? Many acne sufferers try to avoid certain foods under the belief that they are the cause of their breakouts. While there are some problems with this line of reasoning, it's definitely true that the things we put into our bodies have an effect on them, and most people would be wise to more closely consider the consequences of their diet. One thing that our typical modern diet is loaded with is sugar. From sweets and breads to pasta sauce, it's difficult to find products that aren't full of the stuff. Summer happens to be one of those "sweeter" times of year with sugary drinks, ice creams and even fruits (ex. grapes, cherries and bananas are loaded with sugar). Scientists have clearly demonstrated that too much sugar can lead to any number of health problems, like diabetes and obesity, but can sugar also affect the health of your skin? The answer to this question is not so clean cut. Scientific knowledge about the link between acne and sugar is continually being revised as new studies shed light on the subject including the impact of different types of sugars. In short, sugar can play a huge role in making your acne worse or priming your skin for breakouts in the future. However, it's not quite accurate to say that sugar is a primary cause of acne, though. What Does Sugar Do To Your Skin? When people talk about the effects of sugar on the skin, someone is bound to mention inflammation. While we normally think of inflammation as a nuisance, it's actually part of an ingenious process that your body uses to protect itself-when your skin is exposed to a potentially harmful irritant, your body attempts to get rid of it, and inflammation is a sign that this process is occurring. Unfortunately, the inflammation process can leave your skin looking less-than-perfect, and sugar is an easy way to trigger it. When our bodies digest sugar, the molecules attach themselves to our collagen in a process known as glycation. Collagen is a special type of protein that is absolutely necessary for healthy skin-it's what gives skin its strength and elasticity and it is often called the brick and mortar of skin. During the glycation process, your collagen begins to deteriorate, which leads to things like dull, wrinkled skin. However, glycation can also lead to inflammation, which can either make your current acne breakout worse or make you more susceptible to breakouts in the future. What Sugary Foods Should You Avoid? If you're looking to cut excess sugar out of your diet, you're going to have to learn to read labels to check ingredients and revise those comfort food and "healthy" snack recipes. Food manufacturers are notorious for sneaking sugar into their products under a variety of names-including sucrose, fructose, corn syrup, molasses, and brown rice syrup. Watch out for names like these, and always check to see how many total grams of sugar are in your foods. Most physicians recommend that men limit their daily sugar intake to 37.5 grams and that women limit theirs to 25 grams. Avoid obvious offenders like sodas and sweets, but also watch out for products that you might not suspect as being high in sugar, like ketchup, yogurt, and granola. Whole fruit is also high in sugar, and some fruits are actually worse than others. 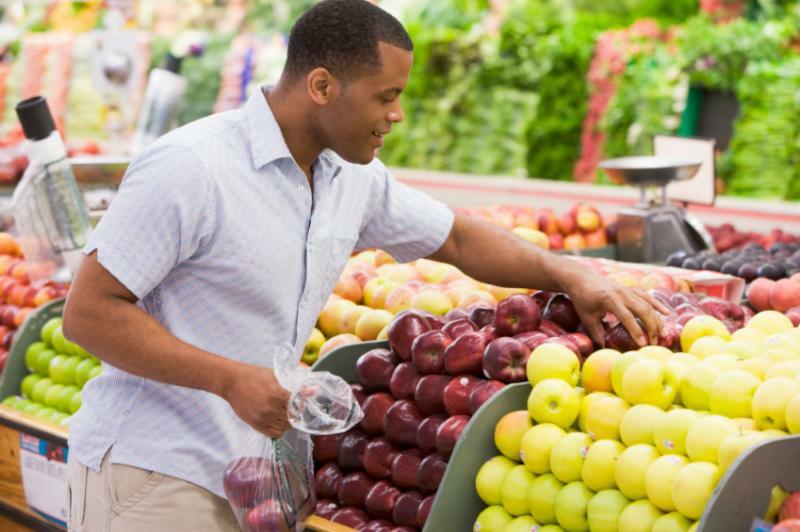 See the list below for high, moderate and low sugar fruits. Is Sugar the Original Cause of Acne? 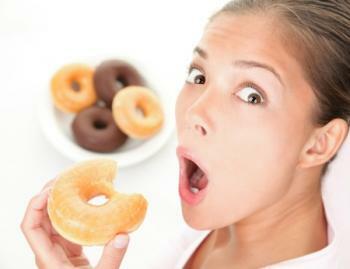 As you can see, a diet that is high in sugar can help perpetuate the vicious cycle of acne. However, is it the original cause? The answer to this question is a definitive, "No!" Acne begins when your sebaceous glands, which are located directly below your skin, overproduce skin oil-known as sebum. This excess sebum clogs your pores and allows acne-causing bacteria to flourish, which leads to the all-too-familiar blackheads, whiteheads, and cysts. The overproduction of sebum is caused by an imbalance in your hormone levels. This imbalance can come from many things like puberty, pregnancy, or menopause, but the one thing it can come from is diet alone! Therefore, expecting dietary changes to eliminate your acne entirely will leave you disappointed when you don't receive the results you were looking for. Instead, to effectively treat acne you must address the root of the problem-that is an over production of sebum and factors that may over stimulate your sebaceous glands such as hormonal imbalance. AcnEase does this in a safe, natural way by regulating their effect on your sebaceous glands, which means that you'll see improvement in your current breakout as well as a decreased risk in future breakouts. While sugar is something that most of us are consuming far too much of and that can exasperate acne and have an adverse effect on skin health and looks, it's not the primary cause of your acne. Reducing your intake can help minimize your outward symptoms, but until you address your acne at its root, your breakouts will continue to persist.